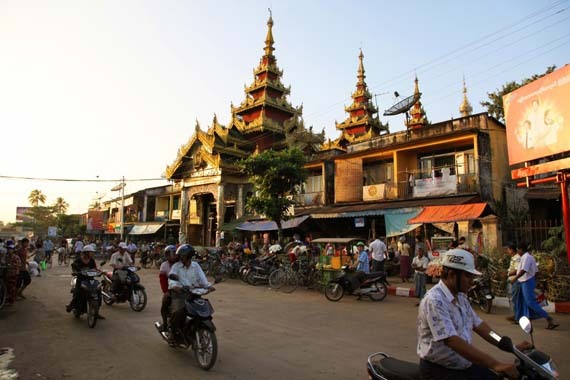 Pathein (Bassein) is a city and is the capital of Ayeyarwady Division in Myanmar and its forth largest city . Lying at the western edge of the Ayeyarwady River delta, on the Pathein (Ngawan) River 190 km west of Yangon, Pathein is accessible to large vessels and despite its distance from the ocean, it is the most important delta port outside of Yangon. It is also the terminus of a branch of the main railroad line. The town is a rice-milling and export centre. The colourful handmade umbrellas (Pathein umbrella) made in Pathein are famous in Myanmar. If you enjoy a good dessert, you might want to finish up your stay in Pathein by a visit to the Myoma Market or the night market. There you’ll be able to pick up the Har-la-war, one of Burma’s best known puddings. 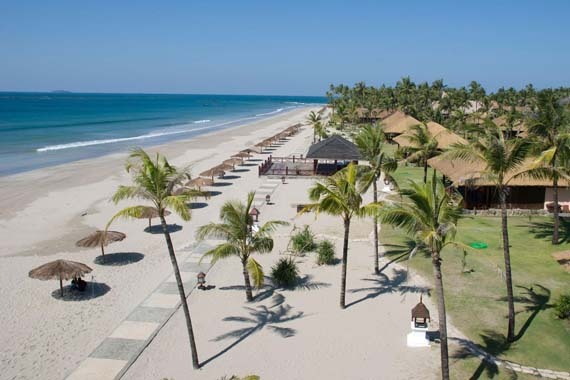 Ngwesaung is a beach resort located 48 km west of Pathein. 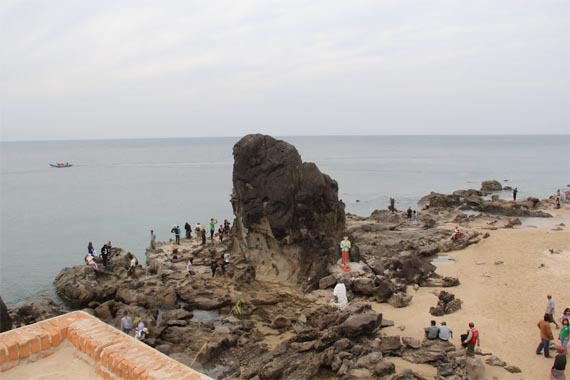 Ngwe Saung is a popular beach among tourists visiting Myanmar. 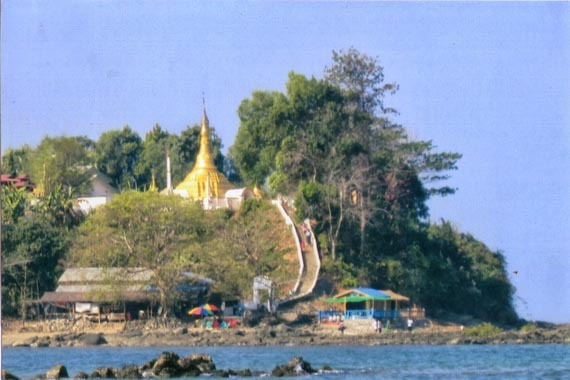 ‘Ngwe’ means silver, which explains perfectly the silvery sand on the beach here. You can also hire a boat (with guide) to some of Island that lie a few kilometers offshore, where you can snorkel in the crystal clear waters. There is a temple, a monastery and many coconut trees. You can drink fresh coconut juice for 100 Kyats/coconut. 2 minutes engine-boat ride for 200 Kyats/person. No need to buy tickets. The water is quite shallow. There is a small village on the island selling coconuts and dried fishes. 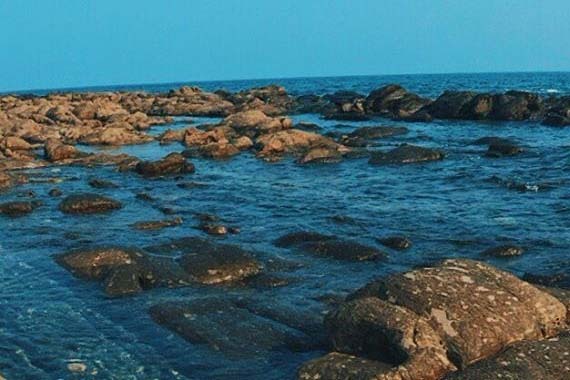 The water is clearer on that side of the island. You can find many red and green crabs running around.